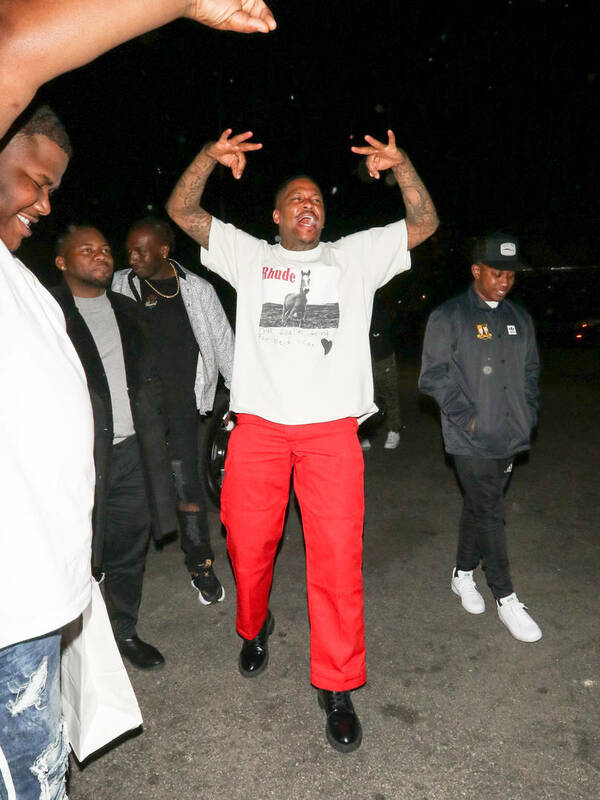 YG’s new album comes out on May 3. For the last three days, Instagram models and privileged kids have been partying it up in the desert, taking in performances and clipping flowers in their hair at Coachella. The , including the , performances by , Khalid, and others, and tons of . As always, the most buzzworthy members of high society were seen in the crowd during Coachella’s first weekend and many of them were in attendance for ‘s standout show last night. Fans of the Bompton artist were curious to see if he would , which he did several times, but another moment stood out. The Stay Dangerous rapper debuted a brand new song for the huge crowd, coming through with “Stop Snitching” and dedicating it to everybody’s favorite rainbow-haired troll. has been behind bars since last year and earlier this month, . Of course, their reason for believing that has to do with the fact that he . “Stop Snitching,” which will likely be included on YG’s next album, enjoyed its first performance at Coachella with visuals of a stop sign spelling out the song’s title next to a . As you likely already know, . The two have gone at each other for months and it’s not entirely a surprise to see YG speaking out against his rival on wax. Watch a clip from his performance below and be sure to keep your eyes peeled for its official release. During the show, YG revealed that his next album, which remains untitled, will be out on May 3.